Every year we take time to celebrate the life and legacy of Dr. Martin Luther King Jr. It is observed on the third Monday of January each year, which is around King’s birthday, January 15th. On Monday, January 21, 2019 there are a host of events that will help to celebrate this beloved civil rights advocate and remarkable American. As Martin Luther King Jr. has said “I have decided to stick with love. Hate is too great a burden to bear.” We hope you have a day filled with love. See all the wonderful events below. 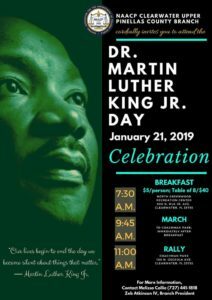 The City of Tampa’s Martin Luther King Day Parade on January 21 from 12:00 – 3:00 PM is an exciting component of a week of activity, celebrating the life and legacy of Dr King, and displaying the beautiful diversity and community spirit of the Tampa Bay Area. Thousands line the streets of a two mile route winding through East Tampa. Parade travels along 15th Street and 21st Avenue and will end at 21st street and Osborne. Find out more. 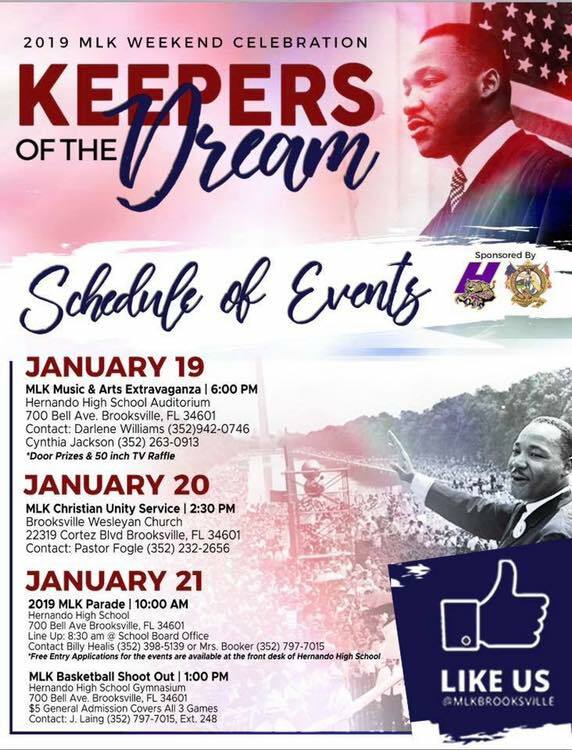 Come watch the parade on Monday, January 21st at 11 a.m.honoring the life and dream of Martin Luther King Jr. which will include over 100 units and bands. Find out more. 3. MLK Family Fun Day in St. Petersburg, Jan. 21st, 2:00-6:00 p.m. Following the MLK Dream Big Parade, the parking lot at Tropicana Field turns into a festival ground with vendors, kids fun zone, an education drive, day of service programs and entertainment. Find out more. The annual Martin Luther King parade in Brooksville takes off at Hernando High School. The parade will take place on Monday, January 21st from 10 a.m. to Noon. Onlookers may watch from the parade route. Come out and show your community support! For more information, please visit their Facebook page. 6. United Skates of America- Tampa, Jan. 21, 2019. Schools Out, Go Skating at United Skates of America on MLK Day. Skating session takes place on Monday, January 21st from 11am-2pm & 3pm-7pm. Admission is $5 and it includes skates. FREE admission on MLK day if you attend a skating session after 5:30pm and you show them the image on their Facebook page. If you don’t own your own skates, then you can rent skates for only $4. Find out more. Spend your day with Glazer Children’s Museum as they honor Dr. Martin Luther King Jr. Day from 10am-5pm. Come join the Museum for MLK themed activities. Guests can learn more about civil rights icon Martin Luther King, Jr which will kick off their Black History Month programs for February. While you’re here, write down your dreams and add them to our Inspiration Installation in honor of Martin Luther King, Jr.’s historic “I have a dream” speech. 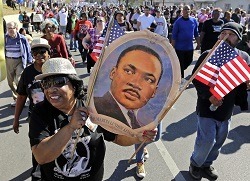 The MLK celebration includes a breakfast, march and rally. Breakfast starts at 7:30 a.m. $5 for adults, $3 for children 10 and younger. At 10 a.m. they will march to Coachman Park for a rally.